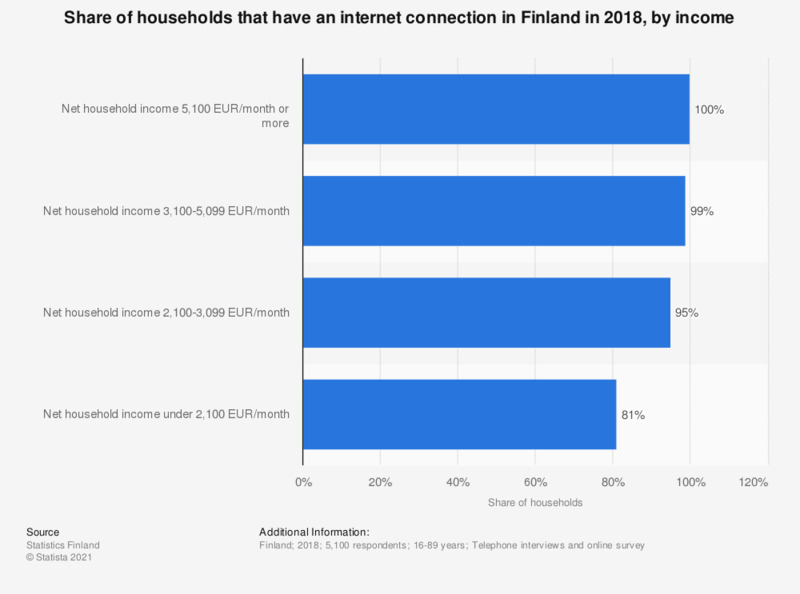 This statistic shows the share of households that have an internet connection in Finland in 2018, by net household income. 81 percent of households that had a net income under 2,100 euros per month had an internet connection. The corresponding figure for households with a net income of 3,100 to 5,099 euros per month was 100 percent.